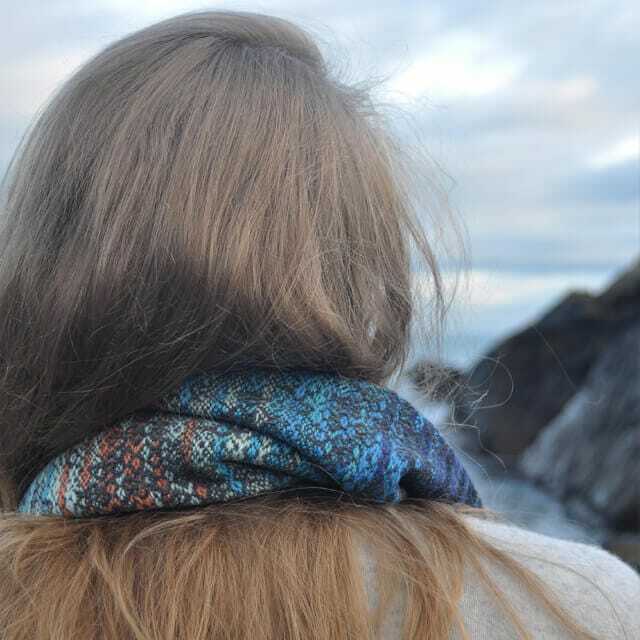 The cowl drapes beautifully and can be worn as either a single loop scarf over a sweater or tucked into a coat in a double loop on colder days. 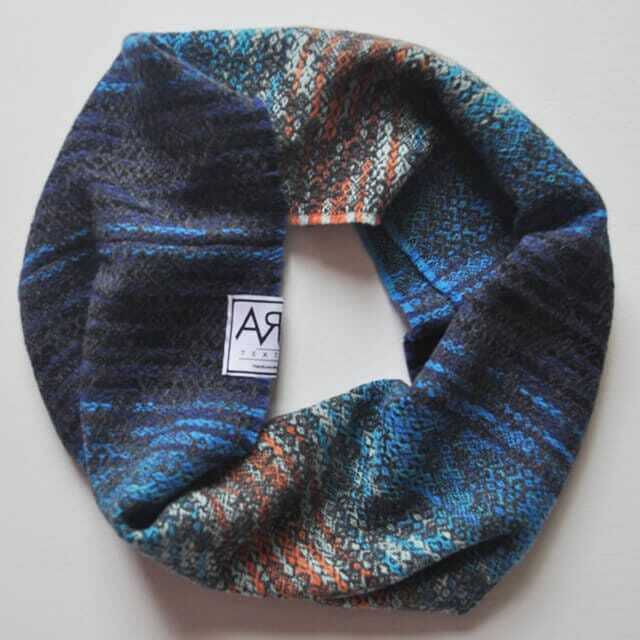 Handwoven in Scotland using the finest British sourced merino wool, the Ebb Cowl in Coal is part of the limited edition debut collection from Arra Textiles. Cosy but lightweight and extremely soft. With inspiration drawn from the ever-changing seascapes and forests of the Scottish Highlands, colour hues, weave structures and yarns combine to create a striking range of luxury fabrics. Each limited edition piece is made by hand in Scotland, from initial design sketches through to hand finished product. We take pride in being a zero waste, micro manufacturing brand creating bespoke, luxury, products synonymous with our slow fashion ethos; sustainable textiles for lasting design. Each piece is handmade, from initial design sketches through to hand finished piece, in a small garden studio in Scotland using luxurious natural yarns all sourced in Britain. Arra Textiles take pride in being a zero waste, micro-manufacturing brand creating bespoke products synonymous with our slow fashion ethos; sustainable textiles for lasting design. 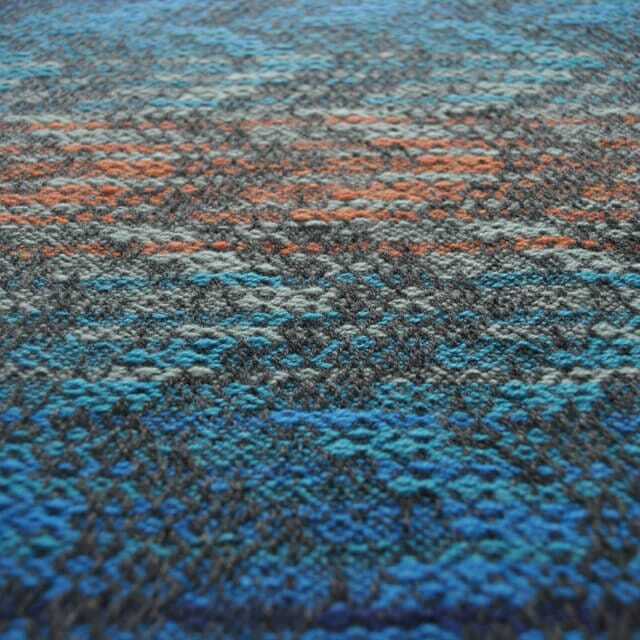 Powerful Orcadian design influences of light, sea and sand are woven together like an orchestral score, where hues, weave structures and yarns combine to create a striking range of fabrics. The Tide Collection consists of three designs hand-woven on a custom built, computer driven, wooden weaving loom from California USA. 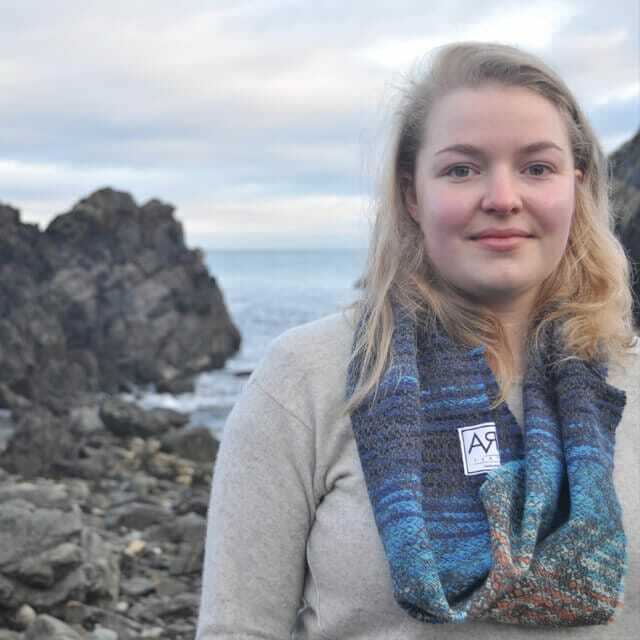 Inspiration is drawn from the seascapes of Orkney’s West Mainland and the birthplace of Arra MacDonald, hand spinner, weaver and great grandmother of Arra Textiles founder Lucy MacDonald.